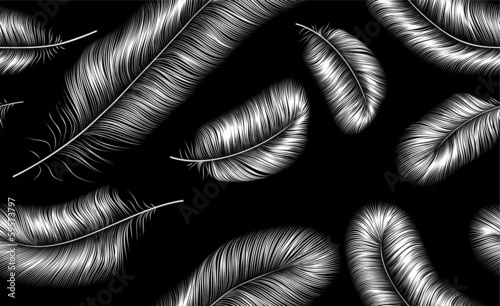 Weightless feathers in black and white is a perfect proposal for a living room. The photo wallpaper depicting this motif will be an original accent in your house. Black and white connection presented in a different and unusual form will tickle everyone’s fancy. Let the lightness of feathers cover the entire room. Let it be ethereal and beautiful.